This means your number is not selected to use this particular service. In order that you might be selected to use this service, you will need to be consistent with doing top up to your number within a period of 90 days before you can be offered a credit on loan advance at a time of need. This is one important criterion amidst all the others. 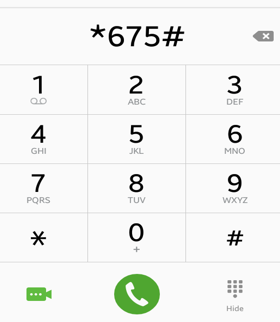 Note: If you wish to confirm this at your end, you can always dial *675#, select option 5, then select no.1 and press send. After doing this, a notification pop-up will be displayed on the screen of your phone informing you about your eligibility status. Or you could also text the keyword "BAL" to shot code 16164 .